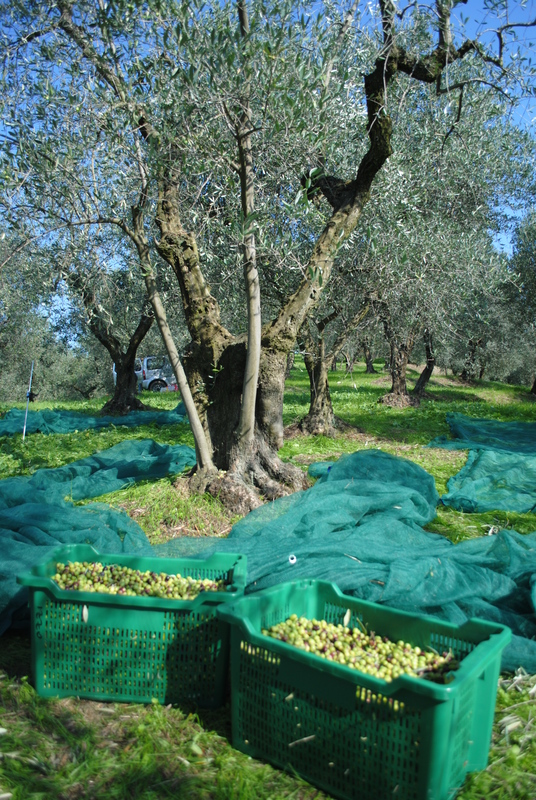 We have been harvesting in our olive grove for three weeks now, although frequent rain has slowed our progress. The harvest, or raccolta, is a decidedly social affair. Ulivetti (olive groves) here are usually small and fences are non-existent, so on the way to our patch we stop and chat to friends harvesting in adjoining groves; sometimes a neighbouring farmer joins us for our picnic lunch. We compare notes on yield and acidity, admire new harvesting equipment, lament the weather and share gossip from the frantoio (olive press) or circolo (village bar). The first step when harvesting is to select the trees. Some varieties ripen earlier than others, and the maturity of the fruit is also affected by the topography of the grove. 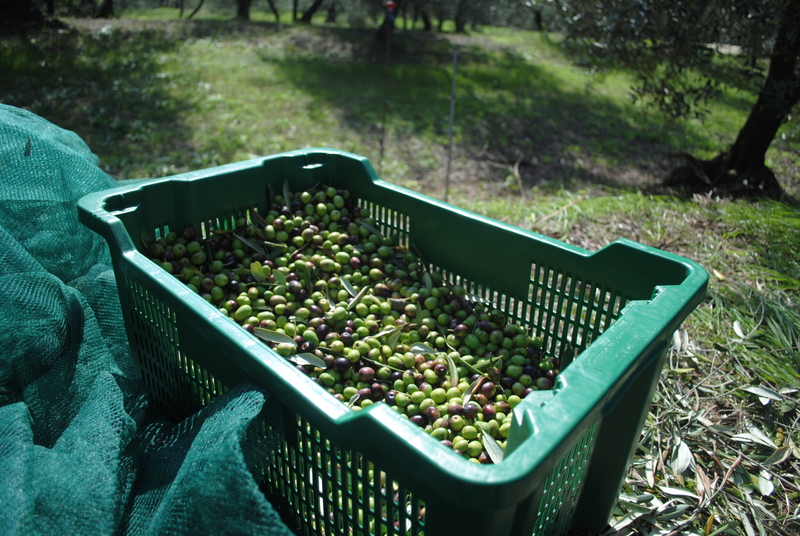 We start picking once the first olives have started to turn mauve, meaning that most are still bright, unripe green. 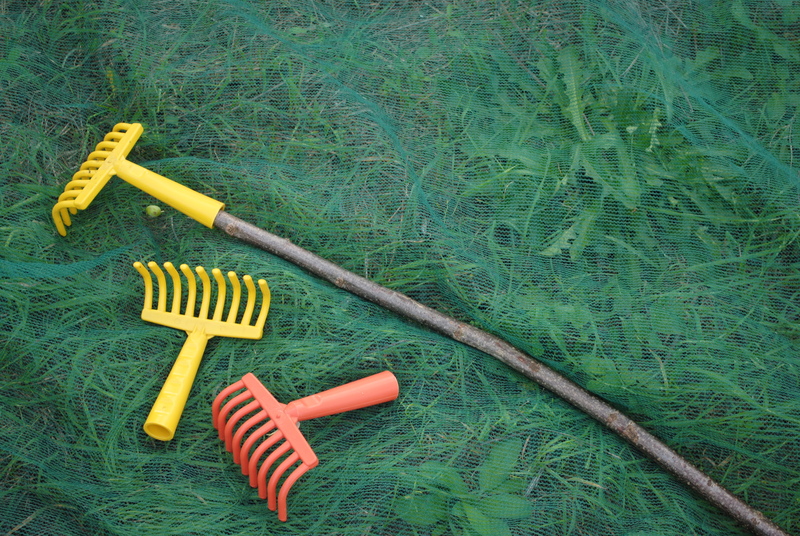 Once the trees have been chosen we lay down our nets. 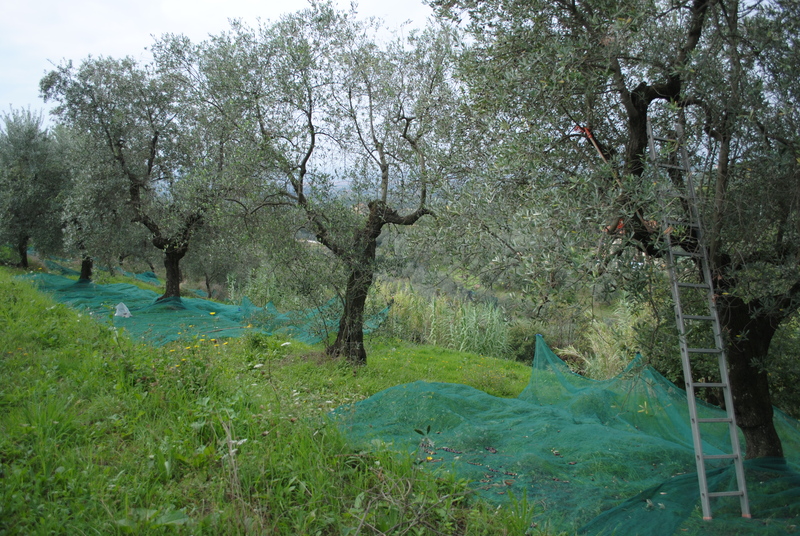 To prevent any valuable olives escaping, these need to be tightly wrapped around the tree trunks and, on slopes, the edges supported with poles. 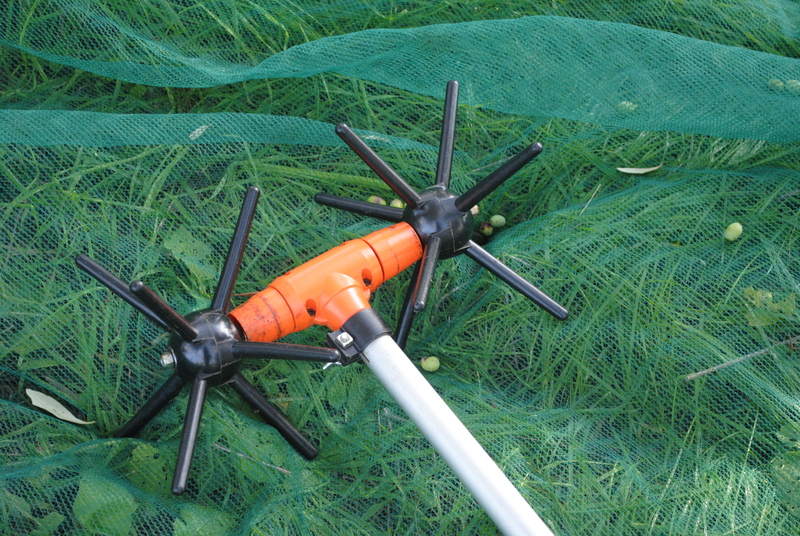 Big rolls of net are the most effective way to do this, but they’re also expensive, so we lay down nets individually. Like most Tuscan olive farmers we harvest in a traditional way: the steep hills make this area unsuitable for the industrial harvesting techniques found in flatter southern areas, such as the huge machines that grasp a tree by its trunk and shake it until the olives fall. 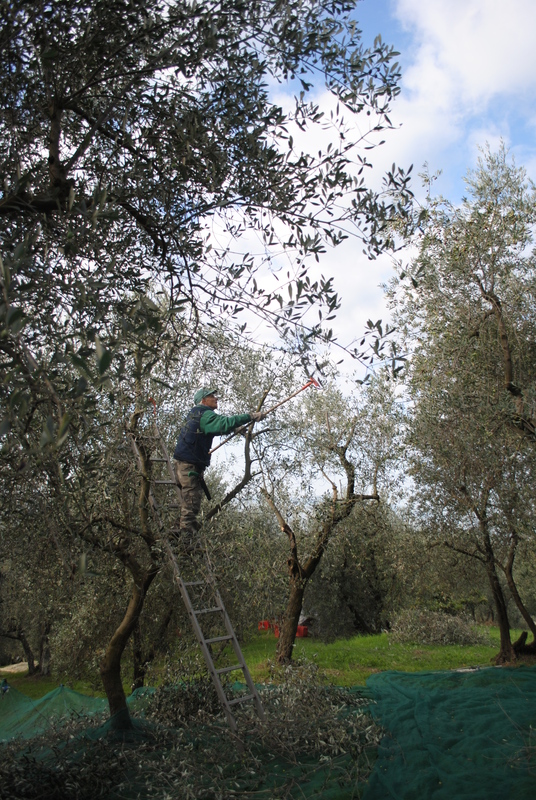 We use the somewhat gentler method of combing the olives from the branches with rakes. Our one concession to modern technology is a hand-held mechanical harvester (a spinning device mounted onto a long pole) for the highest, hardest to reach branches. The harvest is a family affair: Michele’s brother and his girlfriend, his parents, and us. 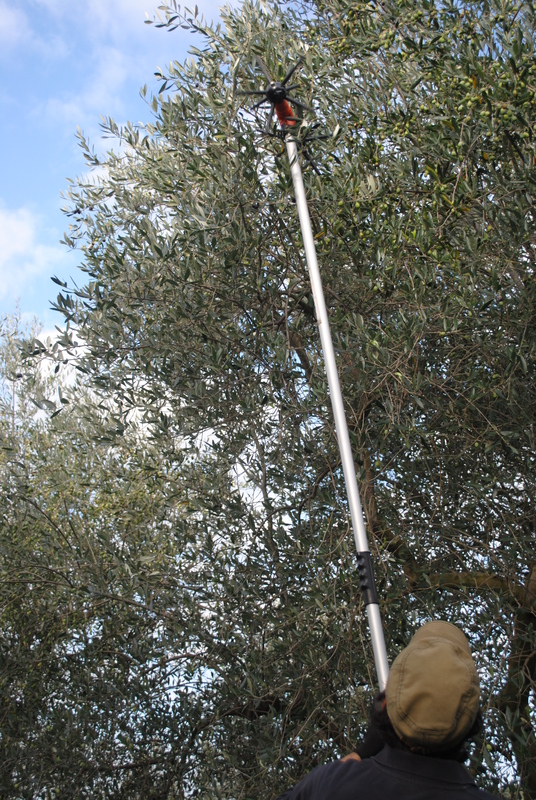 We work in three teams: a couple of people working up ladders or in the trees, combing for olives and pruning any dead wood; three on the ground picking low-hanging olives, who are also responsible for collecting and sorting them once a tree is finished; and finally, someone with strong arms to reach the highest olives using the mechanical harvester. Harvest time is when the hard work of pruning really pays off: a low, neatly trimmed tree can be quickly completed mainly from the ground and in a fraction of the time it takes to harvest fruit from a tall, overgrown tree. 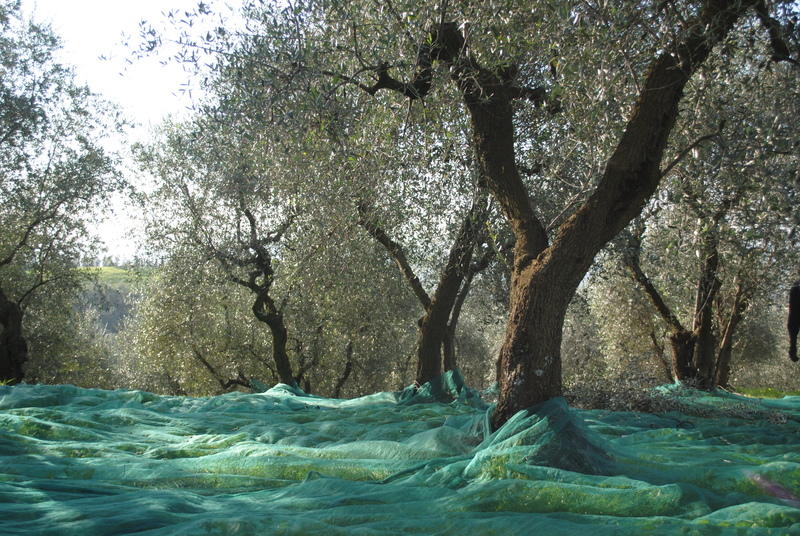 Once all the olives have been removed from a tree or group of trees, the olives are gathered together in the nets, and as many leaves and twigs as possible are removed. Although the frantoio (press) washes the olives before milling, the olives are weighed in the state in which they are brought to the press. Since milling charges are calculated by weight, it’s important for farmers like us, who don’t have leaf-removing equipment, to get the olives as clean as possible at this stage. 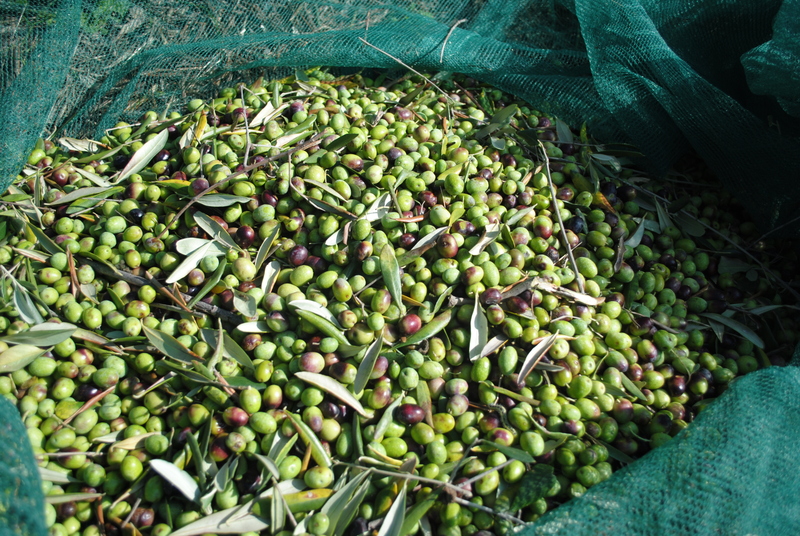 Although some people press their olives leaves twigs and all, this is to be avoided as it changes the flavour, composition (for example flecks of wood can raise the acidity) and colour of the oil (the chlorophyll in leaves is just one reason why a green hue is not a guarantee of quality). The sorted olives are loaded into crates with holes in the sides to allow the olives to breathe. They are taken to the press as soon as possible, ideally within 24 hours, to prevent fermentation. 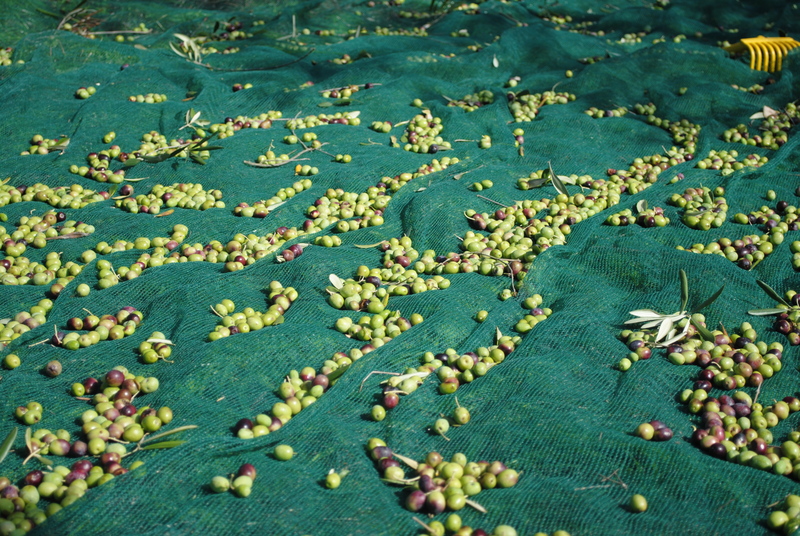 This is an important deviation from tradition: in the past, farmers left the olives to sit in nets or crates for up to two weeks before taking them to the press, which resulted in a higher quantity of oil. Now the focus is on quality rather than quality, and pressing olives quickly helps keep acidity levels (the measure of ‘extra-virginity’) low. The frantoio specifies a minimum quantity of olives (usually around 10 crates), and the olives will yield about 10% of their weight in oil. Yes! I’ve been having olive oil with everything! Here’s to the harvest – and thanks for sharing, although it makes me miss Italy a lot. Beautiful pictures. Look forward to reading about the further processes in producing the oil. We’ve had a few camera problems so no photos of the pressing so far, but I’ll try to get some as soon as possible – it’s an interesting process. This description is wonderfully evocative and informative at the same time. Having been to Toscana quite a few times over the years, it makes me want to head for those hills. Thank-you for writing so well! Looking forward to the next installment! Thanks for the lovely message. It is hard work, but you’re right, it’s very beautiful, so we can’t complain. 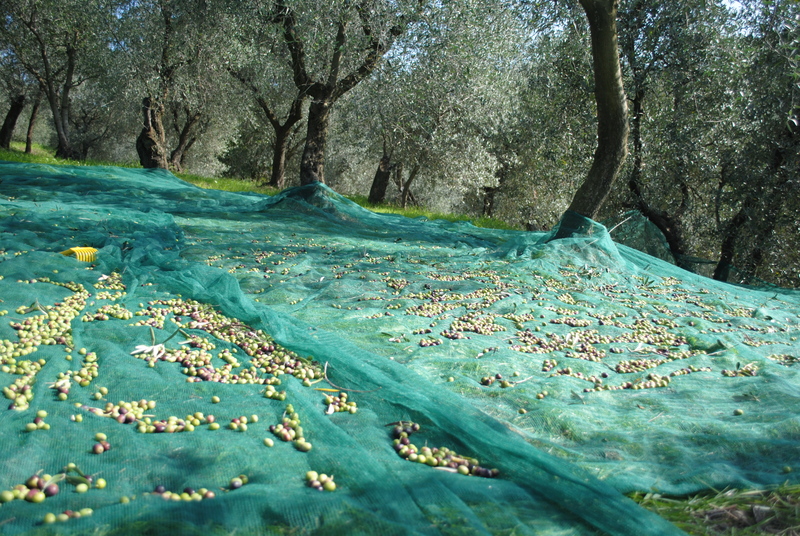 We pick the olives when the first ones on the tree start to ripen – usually the tree will have a mixture of green and purple olives as some parts will have received more sunlight- some variety is fine and normal, but you’ll notice that there are few fully-ripe black olives in the mix. 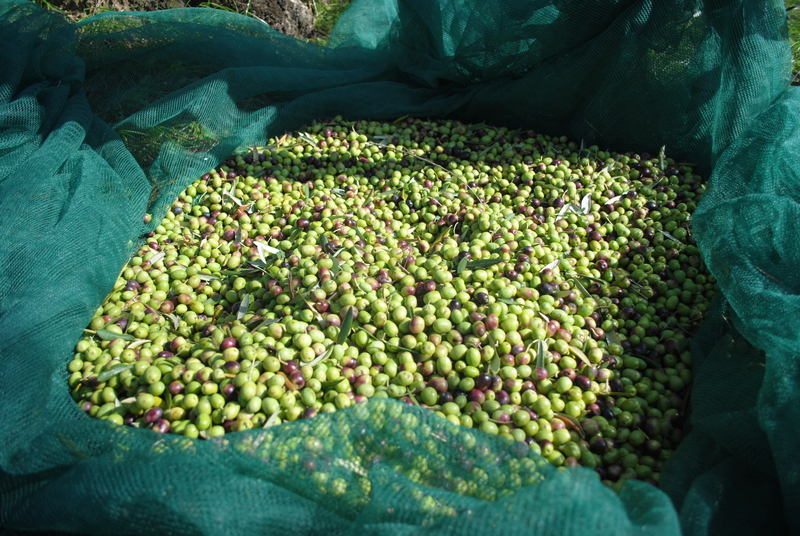 Unripe olives are generally considered to make the ‘best’ olive oil (although this is subjective) – it’s very strong-tasting compared to oil made from fully ripe olives. Olives picked fresh from the tree make great oil but they’re disgusting to eat! Incredibly bitter! They have to be cured to be eaten (using salt, lye, or dehydration which removes the bitterness). 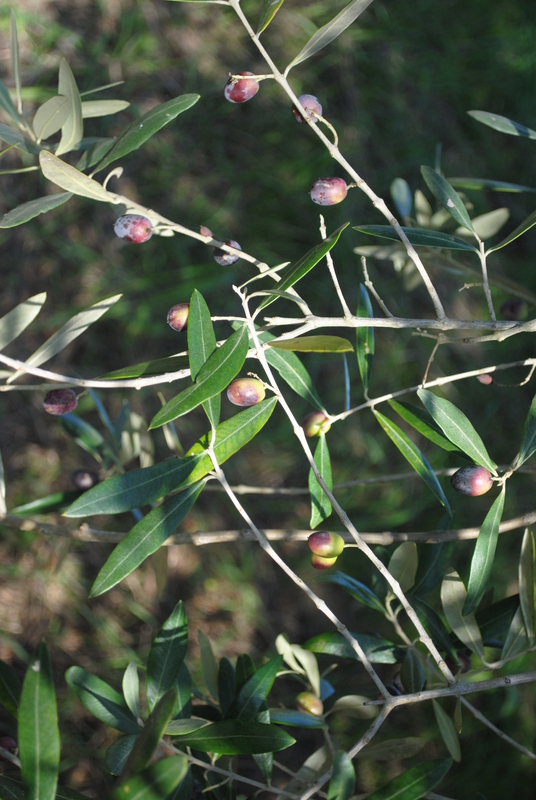 The varieties we grow are not usually grown for table/eating olives, as they are better for oil, but we do usually cure and eat a few. As far as I know table olives can be picked at any stage of their ripeness too, but they need to be cured/treated either way before you can eat them. I’m going to look that place up now. There is something wonderful about doing something so timeless. Thanks for visiting again! Labour of love for sure. Good luck on the harvest. By the way check out this link, http://gardenclub.homedepot.com/thank-a-pumpkin-making-pumpkin-soup/, my recipe for your harvest pumpkin…bon appetit! It’s a pleasure. That sounds like a lovely memory. Harvest time is such a community-spirited time of year. 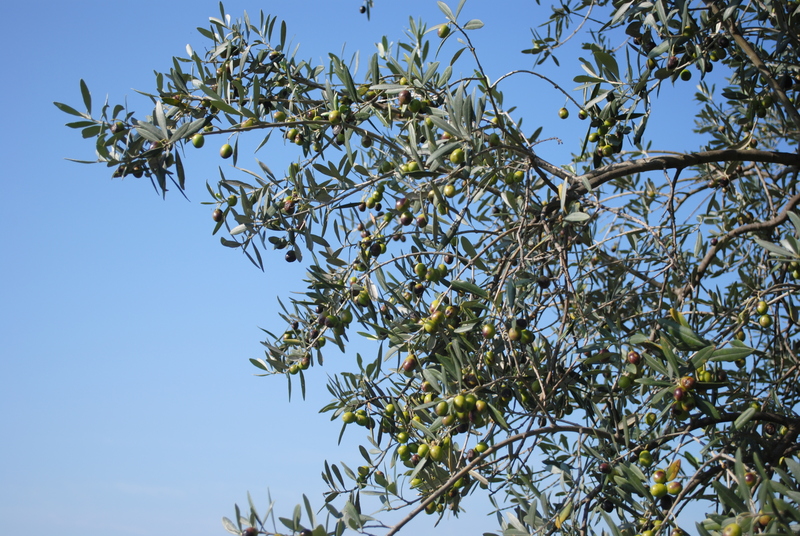 I have recently returned to my house in Asciano and my olive trees were not harvested, so now I have black olives. Can I make any use of these at this point? Such as pickling, or preserving? Thanks, Anthony.